Traditional wedding customs are an important part of weddings around the globe. Each culture has their own unique customs which make weddings meaningful and enjoyable. 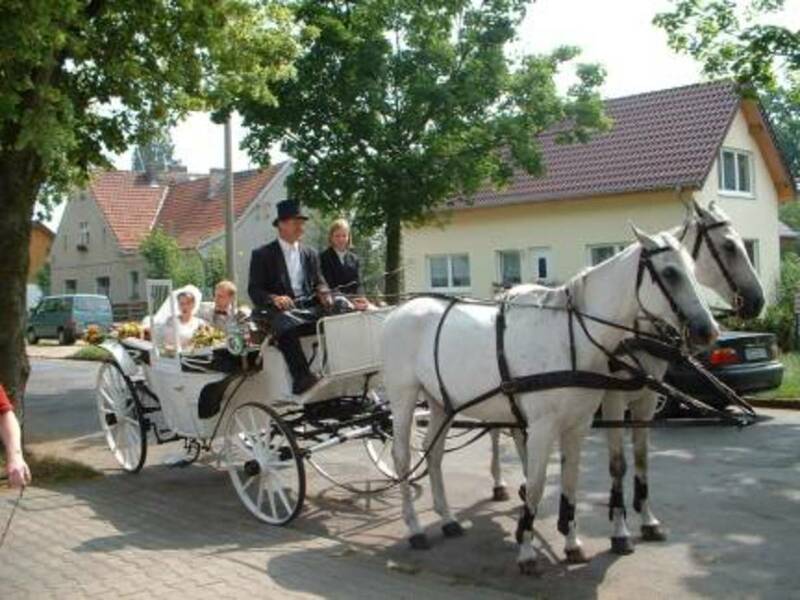 German weddings are rich with numerous customs which would make a wonderful addition to the wedding of any bride or groom with German heritage. This is a look at many of the traditional German wedding customs. The Hochzeitslader has the honor of inviting the guests to the wedding. Some of the German wedding customs begin long before the bride and groom ever meet. There is a very old tradition that when a baby girl is born, her family should plant several trees in her honor. At the time of her engagement, the trees are cut down to pay for her dowry (this old custom is probably not so widespread in modern times!). Another tradition is that before she is engaged, a young woman begins saving pennies. Those pennies will one day be used to purchase her wedding shoes (hochzeit-schuhe). 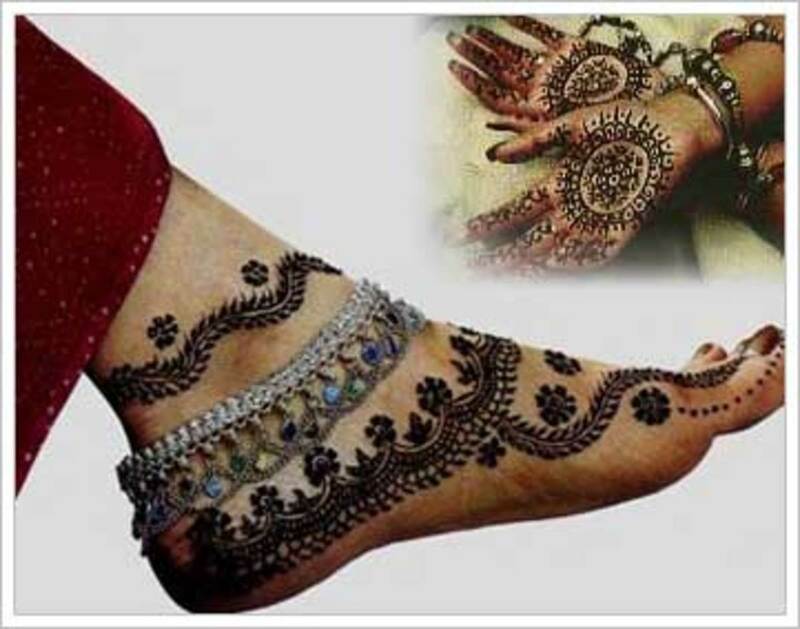 This tradition is meant to ensure that the marriage will start off on “the right foot”. On the day of the wedding, the bride's mother puts dill and bride into her daughter's right shoe for luck. 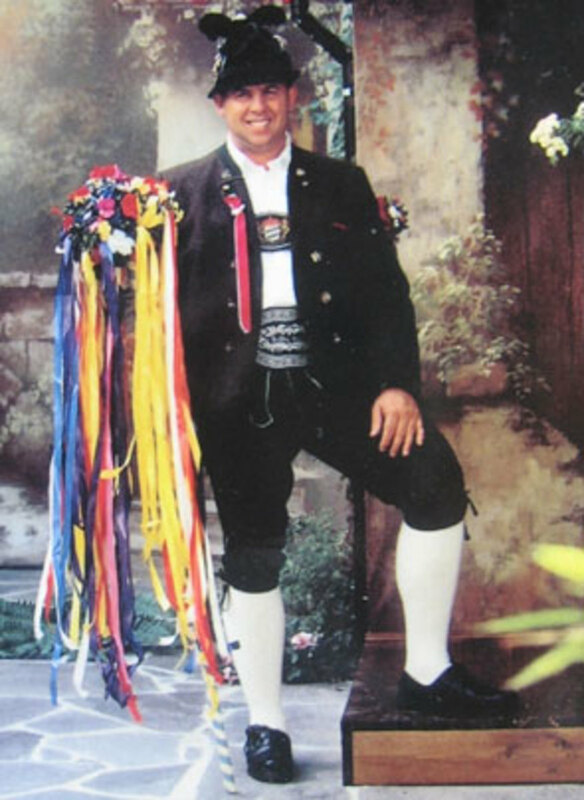 A wonderful old Bavarian custom is the Hochzeitslader. Rather than mail out invitations, the Hochzeitslader is sent around to personally invite each guest to the wedding. He dresses in fancy attire adorned with ribbons and flowers. As the official inviter, he goes around the village from door to door extending a personal rhyming invitation to all on the guest list. The way that guests accept the invitation is to pin one of the ribbons from the Hochzeitslader's attire onto his hat. Then they are to invite him into their homes to share a drink or two. When the guest list is long, this ritual can take a couple of days to complete! Something else that will take place before the wedding is the junggesellenabschied, also known as the bachelor party, in which the groom and his friends hit the pubs for a last bash before he gets married. The laws regarding marriage are different in Germany than in the United States. In Germany, as in much of Europe, a religious officiant cannot legally marry two people. The official state-sanctioned service must be performed by a justice of the peace, called a standesbeamte. The civil ceremony which makes the union legal is performed in the town Registry office. This is generally a fairly small ceremony, attended only by the bride and groom with their immediate family and closest friends. The bridal couple will dress well, but rather simply. It is usual for the bride to wear a simple dress to her civil ceremony, although if a larger church wedding will not follow, she may opt to wear a white wedding dress. At the conclusion of the civil ceremony, the newlyweds and their witnesses often go out to dinner together. China is smashed for good luck at the Polterabend - the more the better! The civil marriage ceremony is only the beginning of the fun. 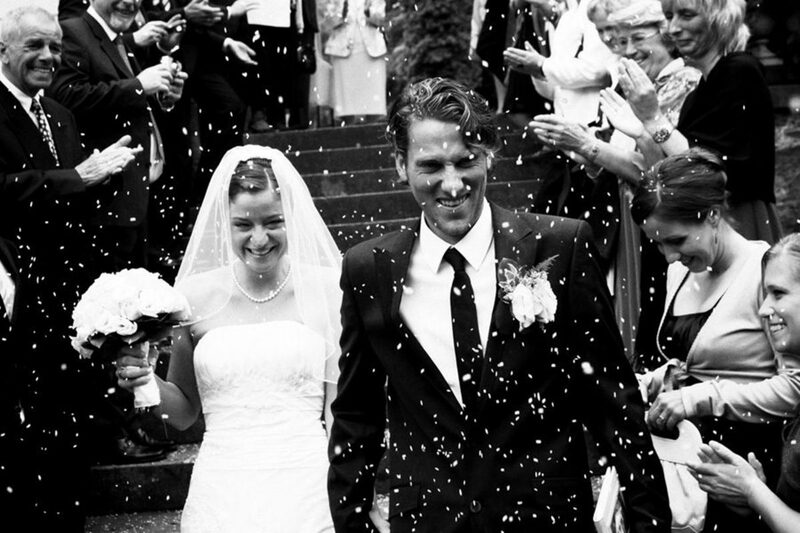 German weddings traditionally span the course of several days, and involve lots of fun and games for all. Within a few days of the marriage at the Registry, most couples will have a large church wedding with a reception to follow. Before that, however, there is another tradition which occurs, the polterabend . In cultures around the globe, there are longstanding superstitions regarding the evil spirits which were thought to be drawn to brides. Many of the wedding customs with which we are familiar involve making noise to scare away evil spirits. In Germany, this is achieved during the polterabend . The night before the church wedding, the bride and groom have an informal gathering with their friends, family, and neighbors. 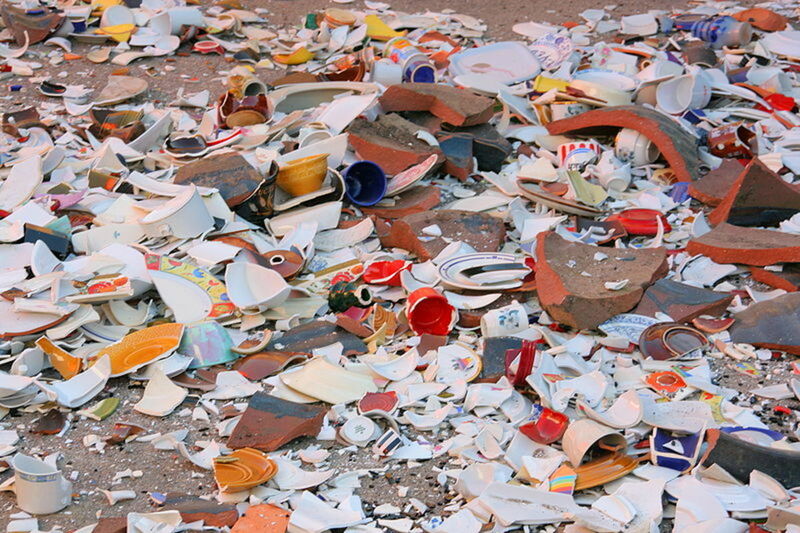 China dishes are smashed to bits, with the idea that it will bring good luck to the bride and groom. It is important to note that only china and porcelain are used, never glass; breaking glass is considered to be bad luck. The breaking of the china during the polterabend also symbolizes that while some dishes may break, the marriage never will. Once the smashing is over, the bride and groom work together to clear away the shards, which represents how well they will work together as a team during their marriage. Many couples have church weddings following the required civil service. 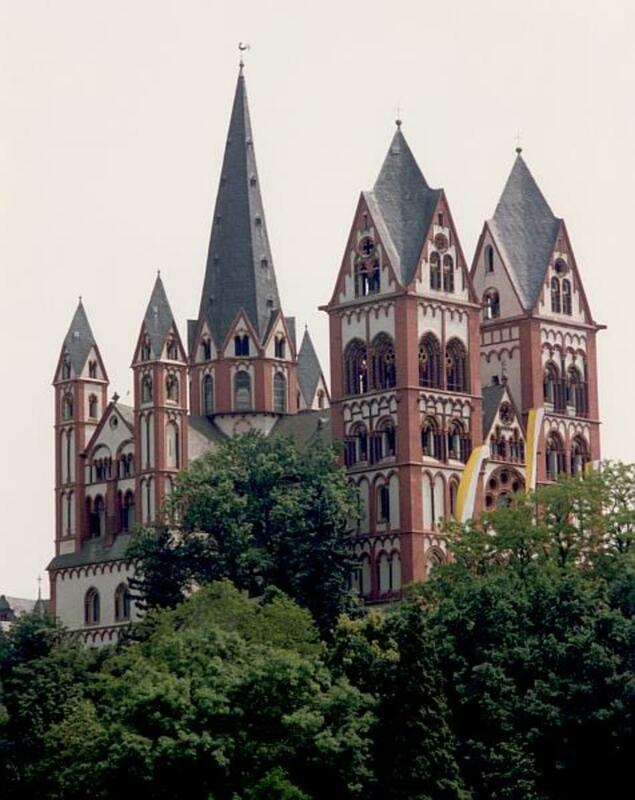 Large church weddings (hochzeit means wedding) commonly follow the small civil ceremonies required by German law. They are in many ways similar to American church weddings, but with some clear distinctions. One main difference is that the bride and groom process up the aisle together. They are already officially married at this point of course, so it would not make much sense for the bride's father to “give her away” to the groom, as is customary in American weddings. Additionally, there are no bridesmaids or groomsmen processing down the aisle in a German ceremony. Some couples may opt to have a flower girl, who will wear a pretty dress and a wreath of flowers. The religious ceremony will often last as long as an hour and a half, and includes sermons, singing, and a Nuptial Mass if the couple is Catholic. Lily-of-the-valley is a popular wedding flower. The typical German bride will wear a white bridal gown, but long trains are rare. Ballgown style wedding gowns without trains are popular. The over-the-top fairy princess style sought by so many American brides is not the norm in Germany. Fingertip veils are the most common length, although floor length veils are frequently worn by Catholic brides. If the bride does choose to wear a veil, she will keep it on at least through the first dance at the reception following the ceremony. Grooms wear black suits or tuxedos, traditionally. Popular flowers for the bride's bouquet are roses, orchids, and lilies-of-the-valley. May is an especially favored month for German weddings, which also happens to be the time when lilies-of-the-valley are in season. 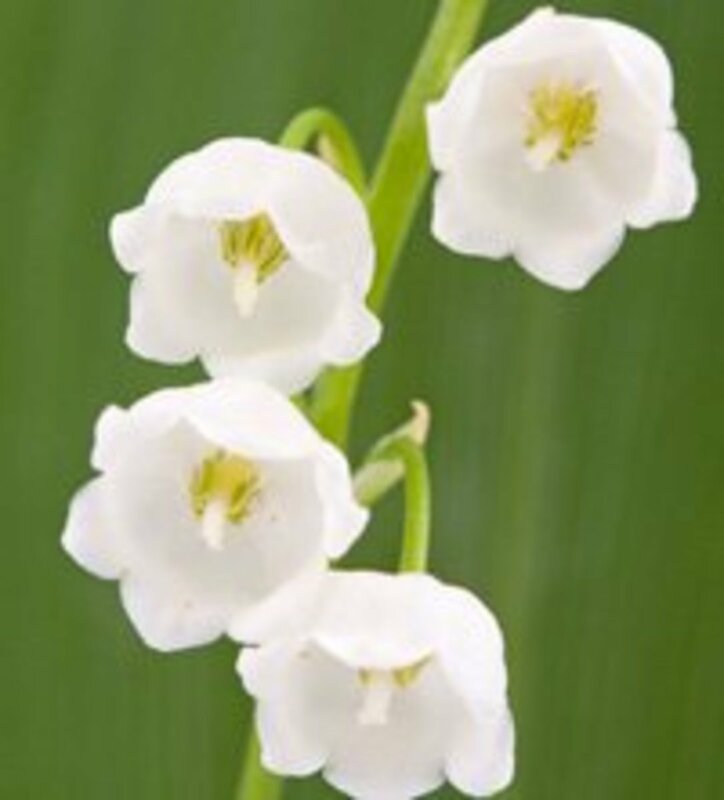 In fact, the dainty white blossoms are called “Bells of May” in Germany. The bride many also carry a long length of white ribbon with her bouquet, which serves a special purpose after the ceremony. Another thing which is customary for a German bride to carry is a little salt and bread, which is intended to bring a good harvest. The groom then carries a bit of grain to bring good luck and wealth. Something which is very different about German weddings from the American perspective is that when a couple becomes engaged, the woman does not wear a diamond engagement ring! The newlyweds wear matching simple wedding bands (eheringe) once wed, and they are worn on the right hand, not the left. Certainly all brides like to wear special sets of wedding jewelry to enhance their wedding dresses, and German brides are no exception. Another interesting wedding custom is a little game which takes place between the bride and groom. At some point during the church service when the couple is kneeling, the groom will intentionally kneel on the bridal gown, as a funny way of indicating that he will “wear the pants” in the marriage. Before anyone takes offense at this, one needs to know what comes next: when the couple are instructed to stand up again, the bride will take care to step on the groom's foot, to let it be known that she will hold the upper hand! At the end of the church wedding, the newlyweds exit the church. 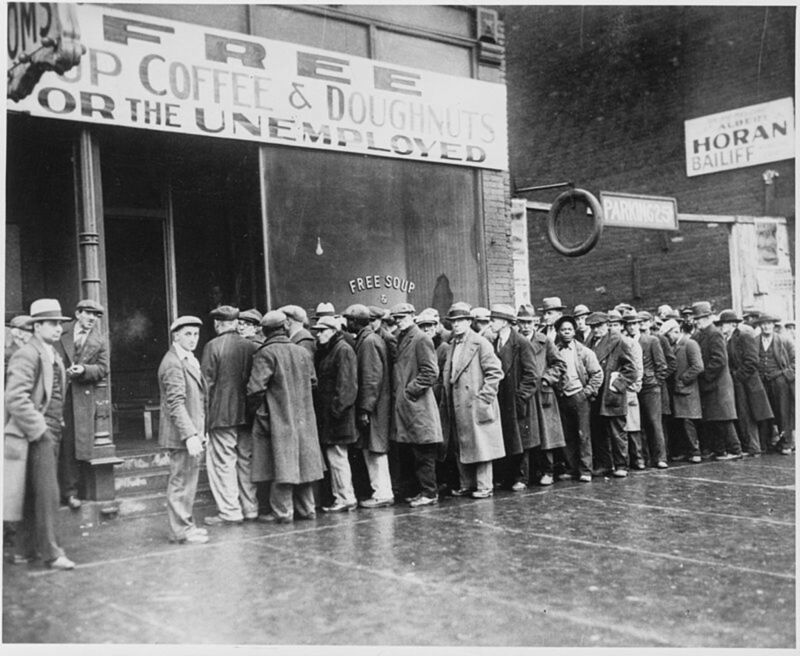 They may find their path blocked by ribbons strung across the door by well-wishers. The groom is expected to “ransom” their way free by promising a party to the door-blockers. Something else that may take place right at the end of the church ceremony is baumstamm sägen. This is a fun custom in which a log is set out on sawhorses in front of the church. 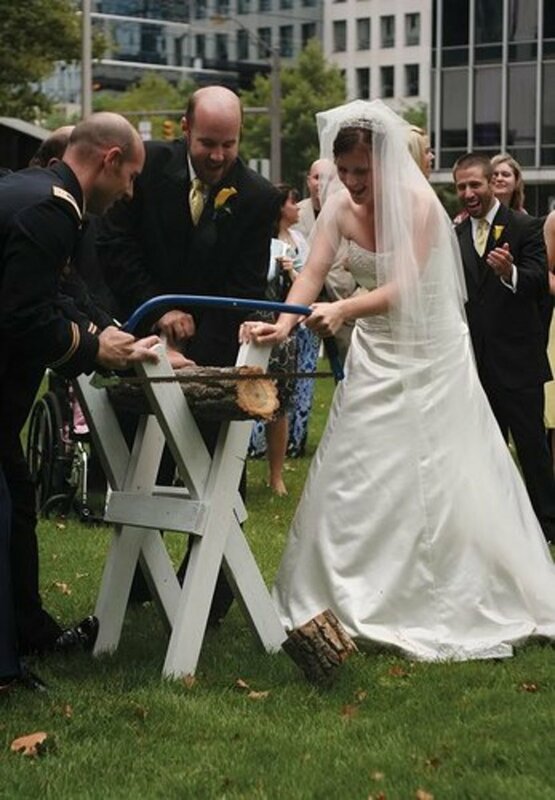 The bride and groom are required to saw through the log together. It is a symbol of their teamwork, and how well they work together to complete the task is supposed to be a sign of how well they will work together at other chores during their marriage. Once the newlyweds head down the steps of the church, they will be showered with rice. This is an ancient custom in many cultures, as the rice symbolizes fertility. Legend says that every grain of rice that sticks in the bride's hair represents another future child. Once the log is sawed and the rice is tossed, it is time for the newlyweds to make their way to the reception site. The bride and groom make their exit in a car or carriage decorated with beautiful flowers. The white ribbon that the bride carried is cut into lengths and distributed to the wedding guests. They tie a piece of ribbon to the antennas of their cars before heading off to the reception with a flurry of happy honks (remember how wedding customs involving lots of noise are intended to drive off evil spirits and bring good fortune; this is a modern variation, of course). Cars passing by will honk back for good luck. The traditional rice toss is an ancient symbol of fertility. Then it is time for the reception. Wedding receptions in Germany are all-night parties, just as they are in much of Europe. The party begins with the German version of the cocktail hour, during which cakes, coffee, and tortes are served. During this time, the newlyweds will have their pictures taken by the photographer. Next comes the first dance (the hochzeitstanz, or wedding dance) for the newlyweds, which is traditionally a waltz. Then the bride will dance with her father and the groom will dance with his mother. After some more dancing, the party will have their formal dinner. One traditional dish is the hochzeitssuppe, or wedding soup, which is made of beef, dumplings, and vegetables. Of course, the beer and wine flow freely all night long! As in American weddings, German couples will have a special cake at their reception which they cut together. 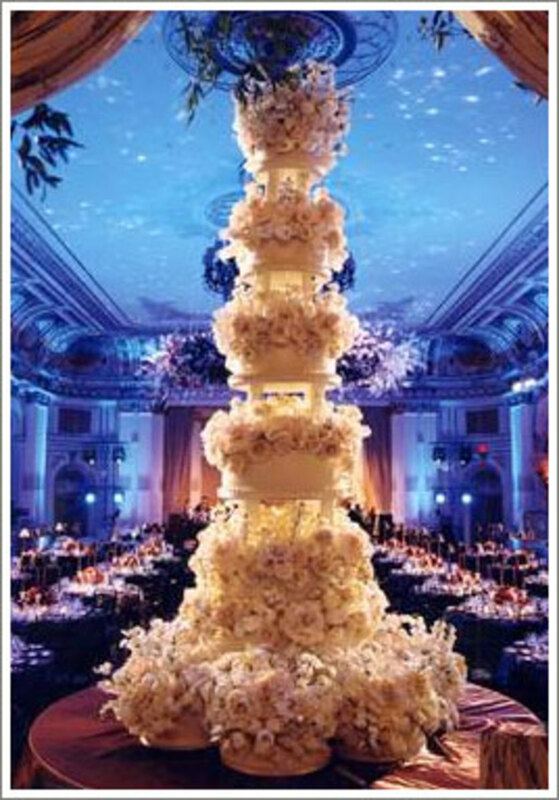 The traditional German wedding cake is a rich nut or genoise sponge cake which is soaked in liqueur or syrup. Filled with jam, marzipan, or nougat and frosted in fondant or ganache, this is a much richer cake than the classic white cake which is traditional at American weddings. Something else which is very different is that German wedding cakes are not made in fanciful colors to match the wedding decorations; artificial colors are considered to be very tacky on a wedding cake in Germany. Another option for a German-American bride is to serve a Baumkuchen, also known as the King of Cakes. This is a very special and difficult to make dessert, which is why it is reserved for special occasions like weddings. The baker creates perfectly round cake rings by baking them on a rotisserie, before layering and frosting the confection. 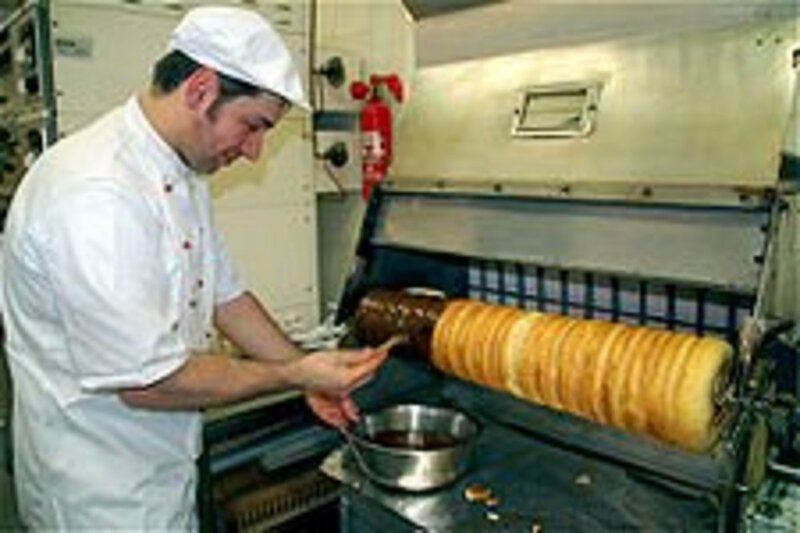 The Baumkuchen is also called a Tree Cake, because the layers of golden rings look like a tree when cut. There are many other things which take place at German weddings. Toasting and speeches are started by the fathers of the bride and groom. At some weddings, the happy couple will share a toast from a bridal cup called the brautbecher. This is a special crystal or pewter cup made in the form of a maiden holding a cup over her head. 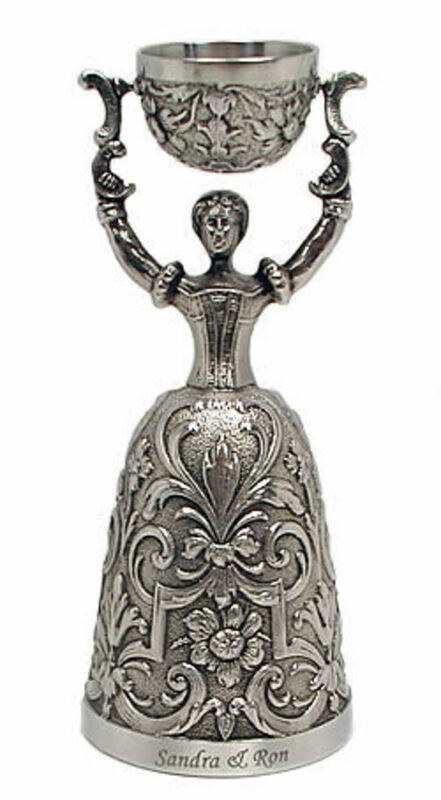 The cup is on a hinge so it can swivel, and the maiden's skirt is also a cup to hold wine or Champagne. In a game called “Who Rules the Nest?”, the bride and groom simultaneously drink from the brautbecher, the bride from the cup and the groom from the skirt. The idea of the game is that whichever person finishes their drink first will rule the nest; typically the bride wins, as her cup is smaller. It is also another good example of teamwork, as it is not so easy for two people to drink cooperatively from the same cup at the same time without spilling. Other games may also take place during the reception, including one during which the bride is “kidnapped” by some of the guests and spirited away to a nearby pub (this mostly takes place only in weddings in small villages). The groom has to go and find his new wife, and when he does, he has to pay the bar tab of the kidnappers to procure her freedom! The mischievous friends of the bride and groom also may also play pranks on the newlyweds by doing things to their bridal suite. Many German newlyweds arrive at their honeymoon suite after dancing at the reception until 4 or 5 am and discover that the bed has been taken apart, the room filled with balloons, or many alarm clocks hidden around the room. After recovering from the excitement of the wedding, most German newlyweds will head off on a honeymoon for a week or two to unwind and celebrate their new marriage. 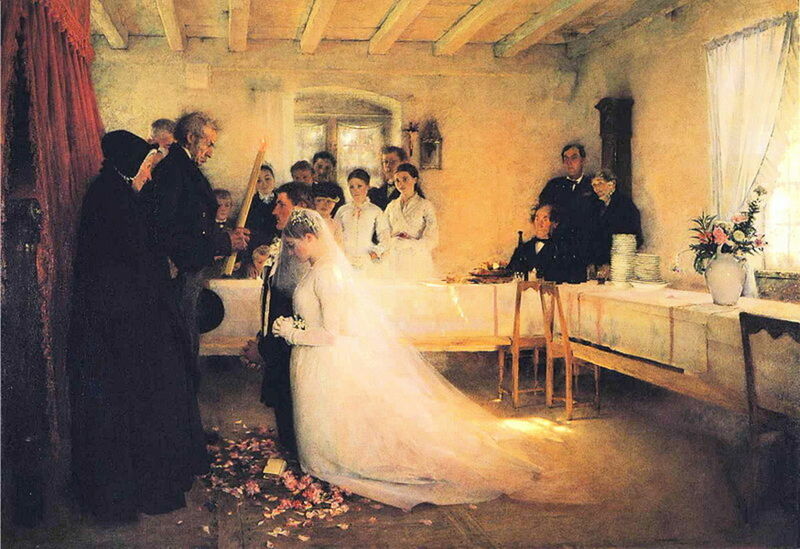 In germany there were legally required two "wedding witnesses" at the civil and/or christian ceremony. Usually this would be the best friend of bride and groom. Nowadays it's not required but a tradition. 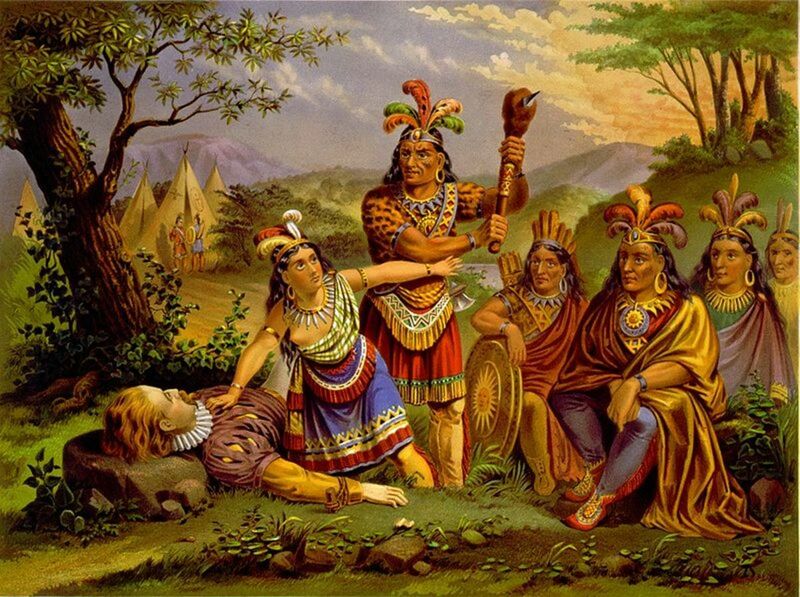 The "wedding witnesses" normally support the couple with organizing the festivity. Often the prepare some surprise games or ask the other guests for Special ideas or performances. I come from northern Germany. There it's custom to burn the grooms pants at the "Polterabend": The groom often wears old pants and funny underpants. The ashes of the pants are "buried" with a bottle of Liquor. At the first wedding anniversary this bottle is retrieved und drunken. The neighbours are also important: they tie or wrap (i don't know the correct English word) a garland. This procedure is also opportunity to meet and eat. They meet at a neighbour's with enough space. Bride and groom provide something to drink and to eat. The garland ist made of the greens of trees and then attached around the front door of the couples home (in former times, it was the door oft the bride's parents). Some time after the wedding, the neighbours come and take hte garland away. This is also linked with a Barbecue or something like that. The neighbours also often provide some kind of table decoration with hearts, wedding rings etc. The weddings I attended had around 100-120 guests. I think this is normal. Some friends or colleagues, acquaintances from sports clubs etc. are only invited to the Polterabend. Another thing in the north and small villages their close friends or club they are in make something out of hospital bed. It has headlights on it. My brother and sister in-laws was made into a baby buggie. They had baby bonnets on, a bib and huge pacifier around their necks. They are pushed by their friends from the hall to their house and at every street corner they give us a shot of liqueur to each one that is in the group pushing them home! 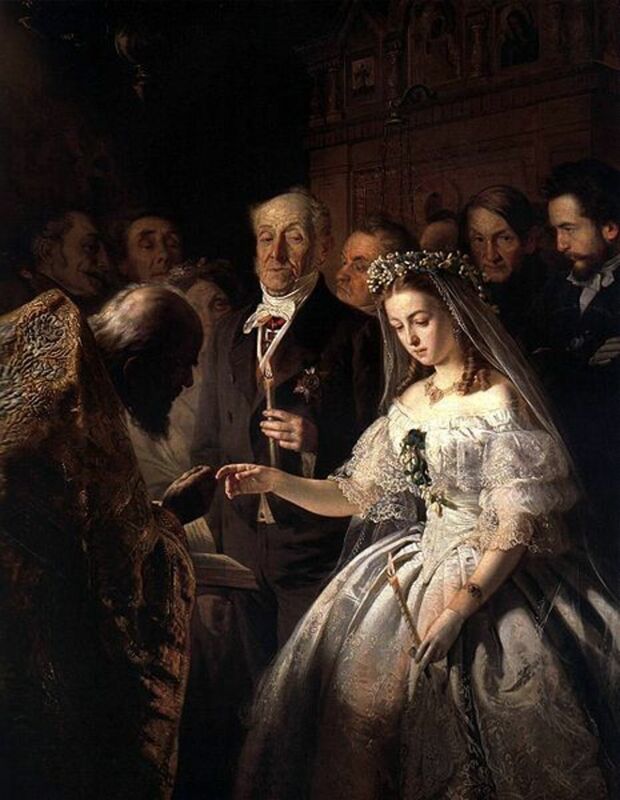 "Hochzeit: Large Church Weddings Follow Civil Ceremonies"
Thanks Seabastian, I was not aware of all these rituals related to the German wedding. It certainly looks very interesting. That's not a traditional German wedding dress. Traditional German wedding dresses did not look remotely anything like today's brides dresses, and they were NEVER white. I had no idea! This was so interesting - thanks for posting it. Thumbs up and interesting! Very insightful indeed! My husband came to the U.S. from Germany 2.5 years ago on a fiancé visa, and since this visa required marriage within 90 days of entering the country, we didn't have a big wedding, and his parents could not attend. We would LOVE to have another grander wedding that includes his family, and these are some GREAT idea to use. We were given a Brautbecher this Christmas by them...so that will definitely be one of the traditions we keep. Particularly since I believe these Brautbechers originated in Nuernberg, which is where they're from! Thanks for the insight, currently planning my wedding to my German groom, very glad to incorporate some of these traditions! very interesting information. Great hub ! Thank you for your insight, Marissa Anne. In the church weddings I have attended in America, the bride has invariably been escorted down the aisle by her father, so it is interesting to hear how things are done in other countries.